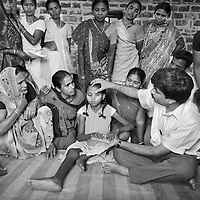 The JSS (Jan Swasthya Sahyog or People's Health Support Group) is a public-health initiative established in 1996 by a handful of committed doctors all of whom trained at elite medical schools in India. 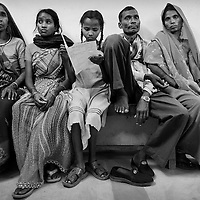 While many of their peers secured high profile, high earning posts in premier hospitals in India, the US and the UK, the doctors at JSS have focussed their medical expertise on providing a service for poor and marginalised rural communities in Bilaspur district in the east Indian state of Chhattisgarh. 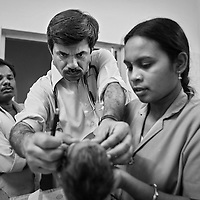 Relying on grants and private donations, the doctors at JSS pay themselves only Rs.20,000 (US$500) a month. 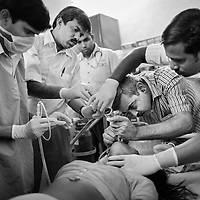 The JSS operate out of a hospital in Ganiyari, 25km from the main district town of Bilaspur. 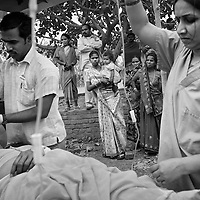 The JSS provide a first-class medical service for a community that would otherwise rely on underfunded and poorly resourced government facilities. 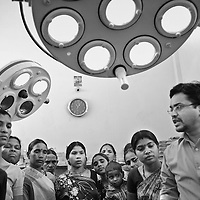 Though the hospital at Ganiyari boasts 30 beds, two operating theatres, a fully-equipped lab and three outpatient clinics every week, the service provided by JSS is over-subscribed by a community totaling 800,000 people from 1,500 villages. 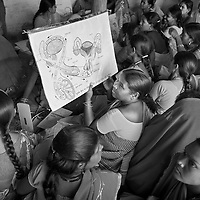 To address the malnutrition that is so widespread among the population they serve, the JSS offers training on new agricultural techniques. 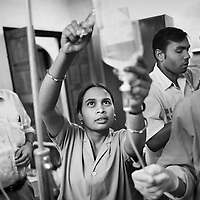 The JSS has a well established outreach program of village-clinics and employs over 100 village health workers serving 53 villages. 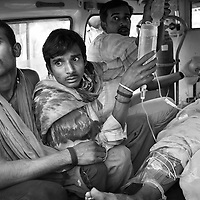 The JSS also operates an ambulance service and assists with transport costs for a rural community who's access to essential services has been undermined by the Chhattisgarh government's decision to completely disinvest in public transport. 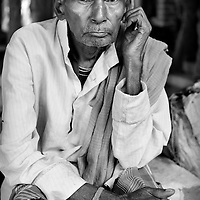 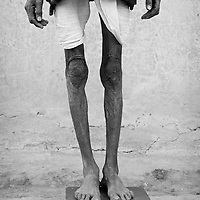 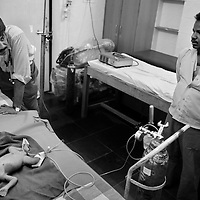 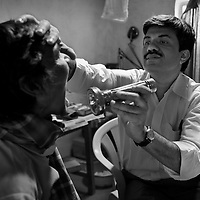 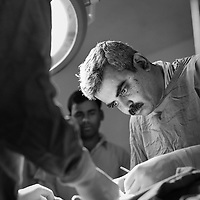 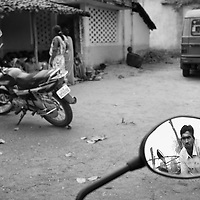 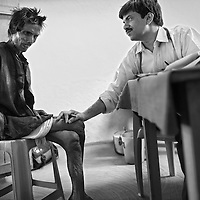 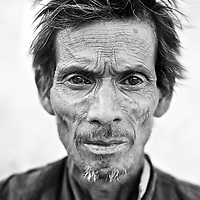 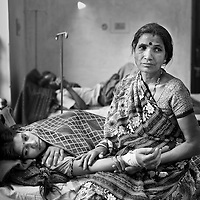 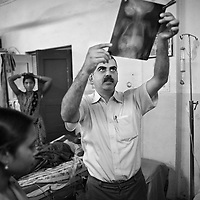 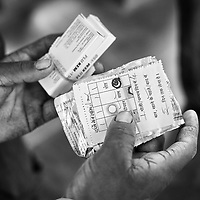 Continually exposed to illnesses associated with malnutrition and poverty including tuberculosis and rheumatic heart disease, the doctors at JSS are tireless advocates for universal healthcare and the need to introduce measures to reduce society's inequities and focus resources upon the three-quarters of India's population who live on less than 20 Rupees (50 US cents) a day.